Gorosaurus is one of the many Kong enemies based on dinosaurs, but it seems to be that he is the favorite in that category. If there was going to be a kong 2, then I can definitely see Gorosaurus be introduced into the monsterverse. This was my first requested monster in the "how to include in the monsterverse" and was requested by minecraftdinokaiju. He also helped me out with giving me a quote from tohokingdom.com "Unlike its smaller brethren, this creature dragged its tail across the ground in order to remain balanced due to its utterly gigantic size". Thanks for the submission. It really gave me an idea that I thought would be quite unique. I do want to point out that this is all speculation. I am not saying everything in here HAS to happen. This is just the way I would do it. Now here is my idea of how to include Gorosaurus into the monsterverse. Gorosaurus would be a dinosaur related to the Allosaurus from the prehistoric era. Gorosaurus would be the name of his species and not just for 1 dinosaur-like in KKE. The way that this species works is that they have a lifespan of about 400 years. 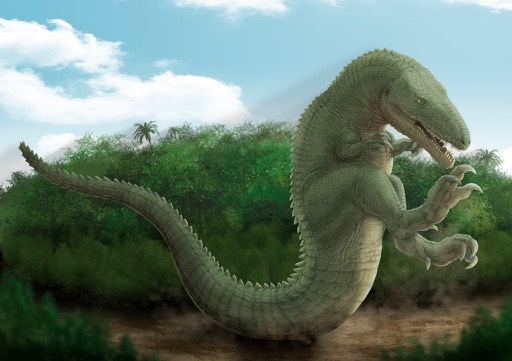 When they are about 25 to 50 years old they are about 30 meters tall and lean forward like an allosaurus. When they are 100 to 200 years old they are about 50 to 75 meters tall and stand a bit more upright. When they become a full adult at the age of 250 to 400 they can become up to 90 to 120 meters tall. The Gorosaurus species was a major enemy of the Kong species especially as they were living in the same region. But then the meteor strikes and wipes out almost all of the dinosaurs on earth, but the Gorosaurusses survived the extinction event by going underground into the hollow earth. Whilst going through these tunnels they encountered many other monsters that attacked them. Most of the Gorosaurusses died because of these monsters and the Gorosaurus rase became an endangered species. Some of the caves came to fill with lava and magma forced them to come out of the tunnels. Only a dozen of the Gorosaurusses came out of the tunnels alive. They found themselves on an island by the name of mondo island. In the meanwhile, the leader of the Gorosaurusses stayed on mondo island (with a few younger Gorosaurusses in case of...) waiting for the younger Gorosaurusses to bring him food or let him know if it is safe for him to come. Unfortunately, the Gorosaurusses can't handle the human gun and missile fire. humankind has changed and evolved more than the Gorosaurusses expected. the younger Gorosaurusses get killed all over the world (the one in new york gets killed by the missiles on the Brooklyn bridge). Whilst all of this is going on, Kong swam to mondo island to confront the leader of the Gorosaurusses (which at this point would be the last of its kind). Kong would hit the leader from behind and the younger Gorosaurusses would jump in and attack kong. 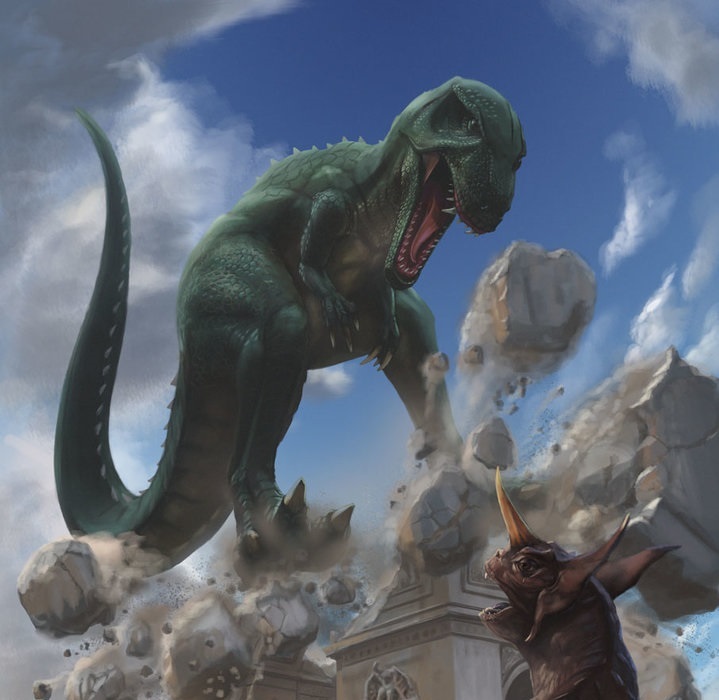 After Kong kills the younger Gorosaurusses the leader jumps back in action for a final battle with 2 creatures that are at that point the last of its species. After a long even fight Kong eventually kills the leader, making the Gorosaurus species extinct. I did a powers section in the king caesar forum, so I will make one for Gorosaurus as well. Of course, they would be able to do a kangaroo kick. It might not seem very logical for them to be able to do this, but it is Gorosaurusses most famous attack. I was going to give him the ability to dig like in "destroy all monsters", but how can he dig with those arms. instead, he rams things with his head (which is why he has such a flat head). Gorosaurusses were said to be very intelligent creatures and that is something I want to keep. This is the end of the forum. again thanks for the request and the helpful quote from minecraftdinokaiju. I hope you like the end result. I didn't really focus on kong in this story, but this wasn't meant to be a sketch for a full story for kong 2, but more of a kong 2 from the point of the Gorosaurusses. This story might feel a bit complicated for just a dinosaur species, but I wanted to not make the Gorosaurus feel like the Skullcrawlers from KSI and still, there are a lot of similarities between the 2, but this was the best I could do. If there are things that you would have done differently or just disagree with something, please let me know in the comments and we can discuss our opinions and if there are any other monsters that you would like to see, please let a comment telling me who/what you would like to see. This is fun. I can see a lot of what your implying here to work. Thanks for mentioning me. Also, doesn't it seem like the production team might see this and replace Gorosaurus with the Skullcrawlers? Also also, nice job with the references. Overall, love the forum, and thank you for mentioning me. They better don’t! If that happens, I would eat my KSI dvd. I am happy to hear that you like it. Btw any suggestions for another kaiju. I have 2 in mind but I would like to see what others have to say first. @KaijuWorld I might have some. One being Godzillasaurus (and Godzilla Jr., basing it from the Heisei Era). Another is Anguirus. And for the last two suggestions I have, they are Battra and Megaguirus. There might be more, but that is all I can think of for now from the top of my head. You're welcome for the suggestions, and you're welcome for the positive comment. Godzilla jr as we discussed in the last forum would be interesting, but goes against the rules of the deal for Godzilla. Same goes for godzillasaurus, but still a need idea. Anguirus doesn’t really need a forum to be onnest. He already fits right in and doesn’t need any changes. Battra and megaguirus on the other hand can definitely work. Both of them could work in the right jands and I might be someone with the hands for that join. @KaijuWorld (also to anyone else who came to this topic) Here is the origin of this forum. You can thank both of us for this. Probably the best opinion and summary so far on this forum. Also, no spoilers for the next forum, but in your opinion, is Gorosaurus at least plausible enough to be in the Monsterverse? Oh he definitely is plausible in the monsterverse. He fits right in and there aren’t that many other kong enemies besides him. Also the rights for Gorosaurus already lie at Toho. They could just make a new enemie for kong 2, but I think Gorosaurus would be a cool Kaiju by himself and would be a cool throwback. I don’t even think the rights for Gorosaurus would be so expensive, especially if he is in just one movie. No worries, I won’t spoil anything here for the next forum. I only will tell what monster is next (being Gorosaurus). I could make and upload the forum for Gorosaurus within a week, but I think I will keep a 2 week gab with each forum. This is so I can hear and share more of your opinions over a longer space of time. @KaijuWorld There was something I forgot to mention about the quote I gave you. Here's the line: "Unlike its smaller brethren, this creature dragged its tail across the ground in order to remain balanced due to its utterly gigantic size." What I forgot to mention (although not sure if you know this already, let me know) was that Gorosaurus is actually, according to the Godzilla wiki, a relative/descendant of the Allosaurus (Btw why isn't there fan art in which Gorosaurus has the color scheme of the Walking With Dinosaurs Allosaurus? If someone can make it, let me and KaijuWorld know and it might be included in that forum.). That is just to clarify what it meant by "smaller brethren". You're welcome. I will mention you in the forum, just not this forum. I will mention you in the Gorosaurus forum. Or was that not what you meant? Can you imagine the color scheme/ design? Just imagine it. I like the connection to the allosaurus you made there. I personally don't do fan art myself. the one for Gigan on the last forum was to visualize the muto as Gigan. the thing is, gorosaurus's design doesn't need much of an update. his design already really looks like a real dinosaur. I would imagine it looking something along the lines of this artwork made by the same designer of the thumbnail photo for king caesar. btw, let's save some of this controversy for the actual gorosaurus forum. Fast forward to now, and look where we are. You're welcome, everyone. The thing above was meant to have quotation marks. Sorry if it is confusing. I think this would be a cool design for Gorosaurus. "By Pepezilla on DA." Is that the same Pepezilla that made that Godzilla mod with Zilla for that dinosaur game Ark: Survival Evolved, or is it just a coincidence? Yes and let's not get off the topic. Is there a way to delete these kinds of comments, because forums aren’t made for advertising. I have seen this person do this on another forum. Note: above this comment used to be an advertisement comment but it is away now. @KaijuWorld I am also confused by that random comment (the one above your comment, not yours). Maybe we should consider it spam? Also, there needs to be a way to report comments or delete them. Either way, they are really annoying. @The Jurassic Bootleg I didn't want to go off topic. I was just curious. Also, can you help me and KaijuWorld with the problem of that random advertisement comment (look at my comment above to see what I mean)? Is there a way to report the account or something, because it's not like he has the account for a while and just starts with spamming these ads. No, he literally made his account today and his first comments were these advertisements. I have been here for a bit of a while, and I've never seen this happen. Can someone please explain to us (MinecraftDinoKaiju and KaijuWorld) what is going on? Leave a comment explaining what is going on. Thank you. Don't worry, these things happen all the time on these forums. its nothing to worry about. Just ignore them. The admins will take it down sooner or later. this wont be the last one you see either. This use to happen to my "This Month In Godzilla History" topics once in awhile. Thanks so much. They better remove it soon. And let's not jinx the chance of another one happening, shall we? Thank you. For anyone who is new, I actually suggested this on KaijuWorld's previous forum, "HOW TO INCLUDE GIGAN INTO THE MONSTERVERSE" (That's just how it's spelled. It's not shouting. Sorry for the confusion. ), and that's how this forum's story began, just one little comment (Refer back to the intro and outro of this forum to know what I mean.). You're welcome everyone, thanks for reading this comment, and have a nice day. I would like to hear your opinions on this. What about a forum for Gamera and how he could be introduced. I know he is unlikely to appear, but so was Spiderman in the MCU and look at where we are now. Also, it would be nice to explore someone, not from the Godzilla universe. @KaijuWorld I agree with the idea, but the difference between Spiderman and Gamera is that Sony and Marvel had a deal and were not rivals, while Toho and Daeii (or whatever company owns Gamera now) have been company rivals for 50+ years, as well as the rights for the Monsterverse are meant specifically for Toho Monsters (not counting Kong). That is all I know about this. I'm not an expert in it, so if anyone would like to give a bigger explanation, leave a comment explaining this. To be fair, sony and Marvel have been rivals as well. Sony has been trying to be better than the MCU with their amazing spiderman spider verse that never got off the ground. They eventually gave the rights to Spiderman for a few movies back to marvel, but they still own him. I feel that daeii is in a similar position right now. They can better just do the wise thing and join the monsterverse at some point. But then again the forum doesn’t necessary need to make sense when we are talking about the rights of the character. It's more about if the monster can make sense in some way in a grounded universe. @KaijuWorld But didn't Daeii file for bankruptcy? Also, can we get back on topic to what the forum was about? Btw, the latter image portrays most accurately what I think Gorosaurus should look like. I found it by coincidence, but you're welcome for it anyway. Good point. Did you like the idea of a younger Gorosaurus being the monsterverses version of Zilla? I think it will be the closest this universe could get to Zilla personally. I would love to see Gamera in the Monsterverse (even though we all know that isn't goin to happen here and now). But the way I see these topics are more about fans having an opinion and really just having fun with the idea. Not to keep all the facts in line. Even though Toho does weigh heavy with the rights to use there characters is in question on these topics, I still wouldn't hold any monster out for the sake of the fans opinions and conversations. Its still a fun concept, and keeps fans talking to one and other until we get more news on the next film. Gamera wouldn't work in the MonsterVerse, the concept of a giant turtle shooting rockets out of its shell to fly sounds comedic. ^It could work if they wanted it to. Really any of these monsters could work if they really wanted to use them. If a studio or studios agree/want a licensed monster in a movie, the writers will put them in. Simple as that. As for Gorosaurus, I find it very unlikely anyone would pay for the license of a fairly unpopular and not very well known kaiju that merely looks like another theropod dinosaur. 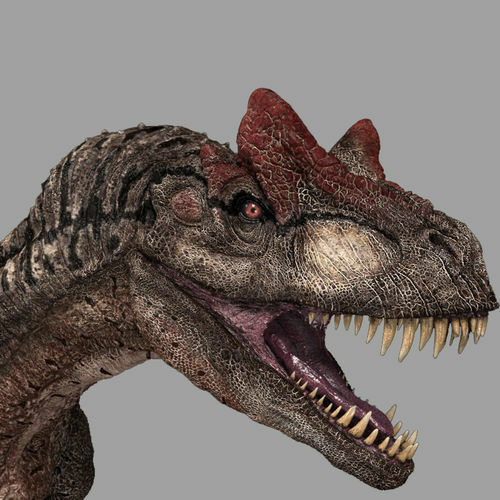 If Legendary really wanted a more basic looking theropod design they could save money by making up their own. Gamera on the other hand would be more likely because of his very specific outlandishness and subtle legacy. @KaijuWorld I know that this isn't likely to happen, but just for speculation/fun, can you make a forum discussing "HOW TO INCLUDE GODZILLA JR. INTO THE MONSTERVERSE" (That's just how the title is spelled. Sorry if it seems like shouting. ), and by the way, this is the one from the Heisei Era, not Minilla (Although you can do a forum on him if you want.)? Please? @KaijuWorld Btw, I liked the way you made a younger Gorosaurus a monsterverse version of Zilla. Lol. "Gamera wouldn't work in the MonsterVerse, the concept of a giant turtle shooting rockets out of its shell to fly sounds comedic." But the idea of a 3 headed, no armed, 2 tailed golden monster that shoots gravity beams out of its mouth seems perfectly sane to ya? @riggzamortis86 What about a colorful moth that is so big it makes the insects of the Carboniferous (when oxygen was at its hightest level) look tiny, or a giant Pteranodon with spikes on its underbelly? Am I right? And let's not forget that there is a giant dinosaur-like reptile that shoots out a laser (I know it's called atomic breath, but this is for anyone new who comes across this comment.) from its mouth. Am I right? Also, can we please get back to the topic of the forum?